Looking back, 2010 was a very satisfying reading year - no challenges, top priority to book club choices, and scaled back commitments. While my 'numbers' are far from impressive, I enjoyed the books I read more than ever. 2010 will be remembered as a year of group reads and read-alongs, and the year I tackled some classics and made new friends in the process. The year began with Woolf in Winter and a personal victory. After three failed attempts, spaced over 25 years, I finally finished Mrs. Dalloway - and loved it! But instead of continuing To The Lighthouse with the rest of the group, I chose to reread The Hours by Michael Cunningham. Perhaps I will return to Woolf, and To The Lighthouse, this winter. Next, I joined my first read-along. Jill from Fizzy Thoughts lead us through Wuthering Heights, which was far from the love story I was expecting. The book proved to be just okay, but the read-along group was the best - definitely a highlight of my year! An unplanned French fixation developed around the same time. 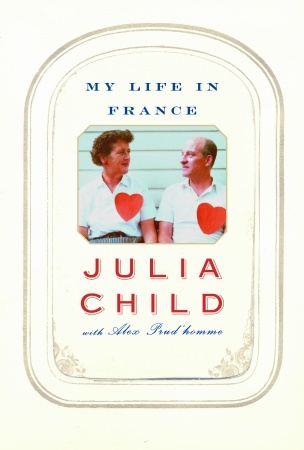 It began in March with Julia Child's My Life in France, continued through Emile Zola's The Ladies' Paradise (read for The Classics Circuit), and culminated with Paris in July. I read short stories by Guy de Maupassant and Zola, and Cheri and The Last of Cheri by Colette. 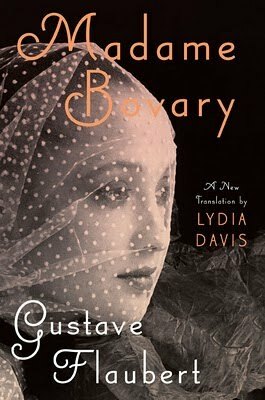 Finally, there was Frances' group read of Madame Bovary by Gustave Flaubert and Lydia Davis' gorgeous new translation. 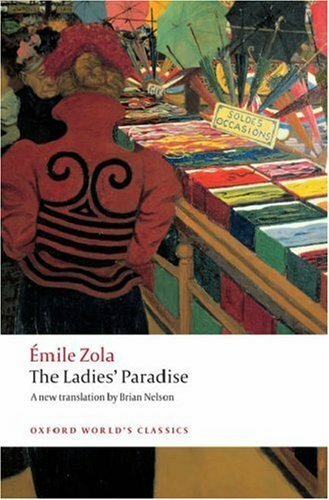 I'm not finished with the French... there will be more Zola and Colette in the near future. Davis' translation skills even have me considering Proust. Completing Bleak House was the biggest accomplishment of the year. Although it started out as a read-along, I fell behind almost immediately and continued at my own pace. 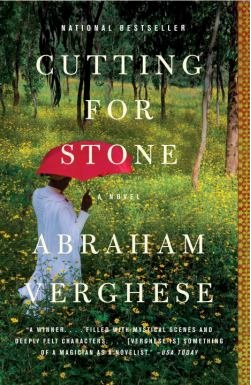 At 989 pages, this was my longest book of the year. It was a combination book/audio for me, and I learned that I especially enjoy listening to Dickens' novels. And there it is, 2010 in review. Thank you all for reading this blog and sharing the ongoing book discussion. It's become an enjoyable part of my life, and I look forward to more book talk in 2011. Not a creature was stirring, not even a mouse hound. Christmas 2010 is now a happy memory. A lazy, quiet day followed... other than a little reading and a brisk walk with my husband (it was too cold for the dog), there was minimal activity. A couple of the girls never took off their new jammies. Zelda, like the rest of us, relaxed in a favorite chair, but she was the only one willing to be photographed. My main accomplishment was finishing Freedom. What an amazing book! Franzen's writing has left me utterly in awe. I plan to gather my thoughts this week. A few other reviews need some attention before the end of the year, too. This is also the time for tallying stats, sharing year-end lists and observations, and planning for the year ahead. I have a couple of posts in the works, but my main focus this week will be on helping Daughter #1 prepare and pack for her semester in London. Weather permitting, she leaves January 5. Tonight I'm trying to decide what to read next: one last library book (The Doctor's Wife) before the TBR Dare begins, or Major Pettigrew's Last Stand for my January book club meeting. First, I'll catch up with some of your blogs. How have you spent this 'day after'? ...and began decorating the tree. More baking and decorating is on tap today. Yes, there are still reviews to finish and year-end lists to compile, but Lakeside Musing will be quiet this week. My days will be less hectic after Christmas and there should be plenty of time for reading and blogging then. 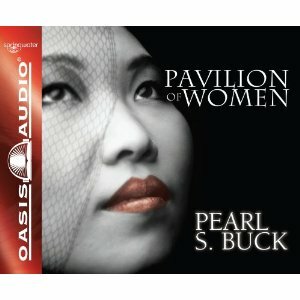 I finished Pavilion of Women on audio and am in awe of Pearl S. Buck's understanding and portrayal of life, especially for women, in China. Now I want to reread The Good Earth and continue with Sons, the second book in the trilogy. 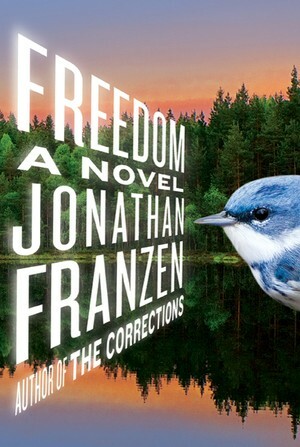 Freedom by Jonathan Franzen is still my current read. It's taking a long time, but is well worth it. I love Franzen's writing and shared a quote earlier this week. It has been another snowy week. Schools were delayed (or closed), Christmas concerts and games were cancelled. Over 70 inches of snow has made this the snowiest December in history. 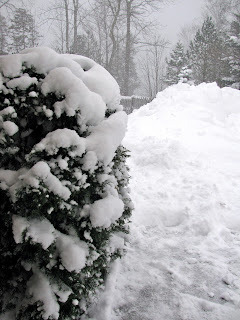 Another seven inches earns the title of snowiest month ever and, with 12 days left, this seems highly probable. Good Morning America was even filming weather segments in the area. It's hard to believe the official start of winter is still a few days away! It's taking forever to read this 562 page book. The characters aren't especially likable, but they are so real. I love Franzen's writing, and it seems there's a sentence on every page that begs to be read several times. This one is from last night's reading. Good morning, and welcome to my Sunday Salon week in review. 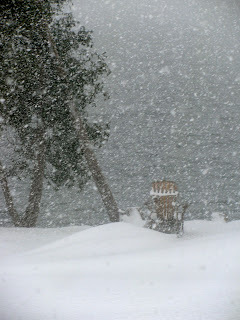 The SNOW took center stage as a four day "lake effect" event left us with 49" on the ground! Schools were closed Monday and Wednesday, and weather records of all kinds were broken. 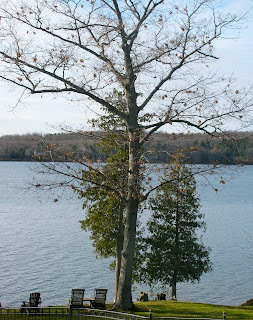 I posted a few pictures for Wordless Wednesday and also updated my header photo. 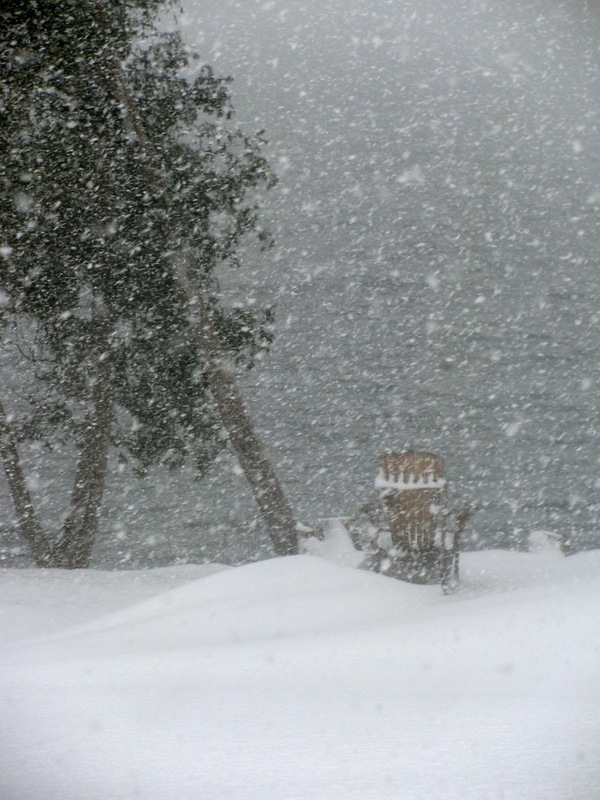 Today it's raining, but we're being told to brace ourselves for more lake effect this week. Since there was not much time in the car, I'm still around the half-way point of Pavilion of Women, but enjoying it very much. 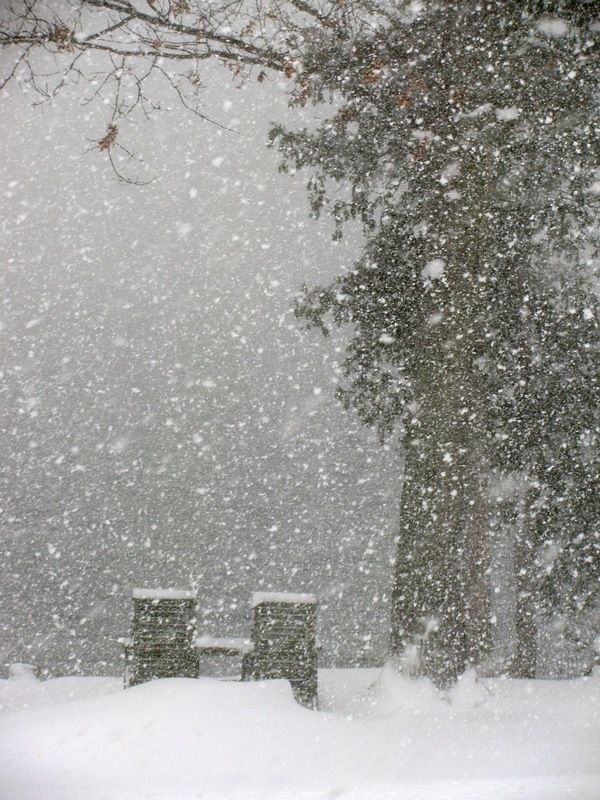 I listened to Ethan Frome by Edith Wharton indoors on my ipod instead. Although I've read the book a couple of times before, the audio experience added a new dimension. It was also interesting to listen just a few months after reading Summer, a book Wharton referred to as 'hot Ethan'. Freedom by Jonathan Franzen is my current book. At page 300, I can heartily agree with what many bloggers are saying - if you loved The Corrections, you'll love this, too. I need to finish soon... look for it on my year-end list! 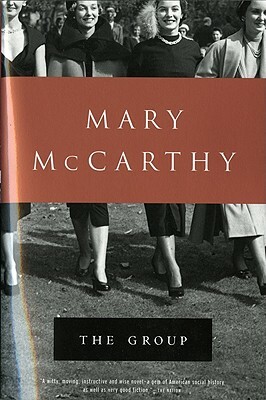 My book club met Friday to discuss The Group by Mary McCarthy. 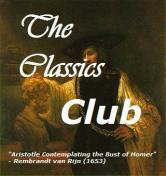 Most members really liked it, primarily for the social history. I'm working on the review, and will be sure to include more about our discussion. 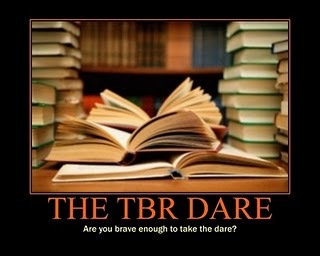 Finally, although 2011 will be a challenge-free year, I've decided to accept the TBR Dare at Ready When You Are, C.B. In the sign-up post I mentioned an exception for book club selections, but I won't need to make use of that in January. Major Pettigrew's Last Stand, a book already on my shelf, was chosen. The TBR Dare is off to a good start! Today we have decorating and wrapping planned, then a birthday party for my brother-in-law. The baking will have to wait until next weekend when Daughter #1 is home. Later this evening, I'll have time to spend with Freedom. Are you busy with holiday activities today? 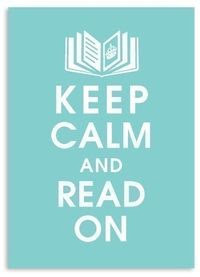 Will you carve out some time to read, too? Will you take the dare? 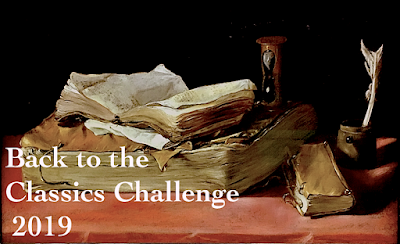 "This is not a reading challenge. It's a dare. I dare you to pledge you will read only the books in your TBR (To Be Read) stack for as long as you dare starting January 1, 2011. One hour, one day, one book, one week, one month, or until the dare ends on April 1. (I never make open-ended New Year's Resolutions. Every goal should have a end date.)" I've accepted the dare. A goal has been set - read from my shelves until April Fool's Day(!). There are surely enough books to last the entire year, and this is only three months... I can do that, right? 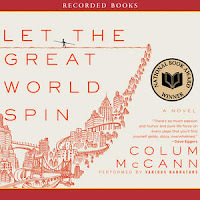 Exceptions will be made for book club selections (unless I can convince the group to read what's already on my shelf) and I will continue to use credits for audiobooks already purchased from audible.com. Will you accept the dare? Details can be found here, then click over here to sign up. ... in 1873, American novelist Willa Cather was born in Back Creek, Virginia. 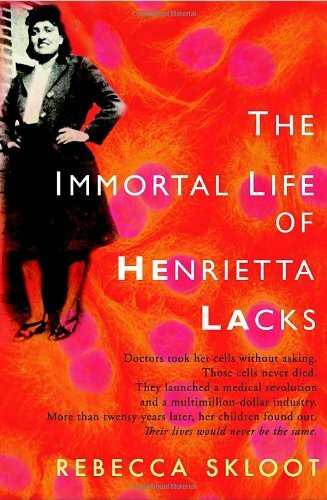 Today's Writer's Almanac featured an interesting piece on her life. It's the birthday of novelist Willa Cather, (books by this author) born Wilella Cather in the village of Back Creek near Winchester, Virginia (1873). The Cathers had a hired girl named Margie, and when Margie would go home to visit her mother, Mary Ann, she would bring young Willa with her. Mary Ann was illiterate, a "hill woman" from Timber Ridge, a stretch of the Appalachians. Willa soaked in the stories that Mary Ann told — the gossip, family feuds, stories of lovers and murderers and legacies from the Civil War. Many years later, Willa Cather said that this was the beginning of her life in storytelling. Cather's family had a tense relationship with many of their neighbors. Willa Cather was the fifth generation of Virginian aristocracy. They lived in a large, elegant farmhouse. Even worse, her father's family were known supporters of the Union during the war — her father and uncle had crossed the border into West Virginia to avoid being drafted, and people suspected her grandfather of being a Union spy. The year that Willa was born, her uncle moved to Nebraska to homestead, and her grandparents soon followed their son. Willa's parents wanted to stay in Virginia and keep farming sheep. However, a few years later their four-story sheep barn burned to the ground, and there were rumors that it was an act of arson by resentful neighbors. The Cathers took that as a sign and headed off to join the rest of their family in Nebraska. So in 1883, Willa, her three brothers and sisters, her parents, Willa's grandma on her mother's side, two of her cousins, their hired girl Margie, and Margie's brother all set off together for Nebraska. They took a train to Red Cloud, then a covered wagon out to the precinct of Catherton, which her relatives had named after themselves. She wrote later, "That shaggy grass country had ripped me with a passion I have never been able to shake. It has been the happiness and the curse of my life." After a childhood on the prairie, growing up with immigrant pioneers, Cather went off to college at the University of Nebraska in Lincoln, intending to become a doctor. But after one of her professors sent in an essay of hers without her knowledge and it was published, she decided to become a writer instead. She had a stint working for the Nebraska State Journal, then moved to Pittsburgh and ended up with a job at the Daily Leader. Crawford Peffer was a law student and friends with Edwin Couse, the editor of the Daily Leader. 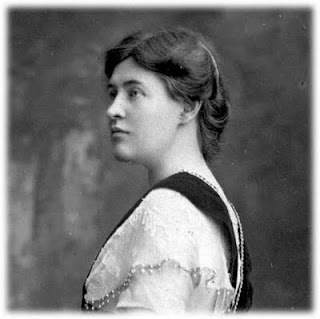 Peffer wrote: "I often went to his office at the close of the day's work, about 4 p.m. One day I found a young lady with flashing blue eyes, sitting opposite him at his large flattop desk, whom he introduced to me as 'Miss Cather, my new assistant.' […] Miss Cather was unconventional in both dress and conversation. She wore skirts much too short for that day and mannish looking shirtwaists. Soon we were calling her 'Bill,' a name she seemed to like. Bill Cather was the most argumentative person I have ever met. She disputed any subject that Couse or I brought up." That was in 1898. In 1906, she moved to New York to work on the editorial staff of McClure's. But the prairie remained her inspiration. She serialized her first novel, Alexander's Bridge, in McClure's in 1912. Her second novel, O Pioneers! (1913), was her first book about Nebraska — it was published when she was almost 40 years old. She wrote to a friend, "I wanted to let the country be the hero." She quit her job at McClure's to write full time, and her many novels include The Song of the Lark (1915), My Ántonia (1918), One of Ours (1922), and Death Comes for the Archbishop (1927). Over the past several years, I've enjoyed two of Cather's novels and a few of her short stories. Three years ago, my book club chose My Antonia as our annual classic selection. It received a unanimous thumbs up. The following year, I read O Pioneers! and loved it. Since then, I've purchased a few more of her novels and consider myself a fan. Have you read Willa Cather? Can you help me decide which book to read next? A month of Christmas Short Story Mondays was planned for December, but my copy of The Virago Book of Christmas has yet to arrive from The Book Depository. 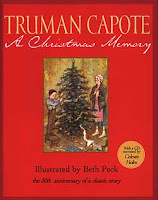 Over the weekend, I reread Truman Capote's "A Christmas Memory". 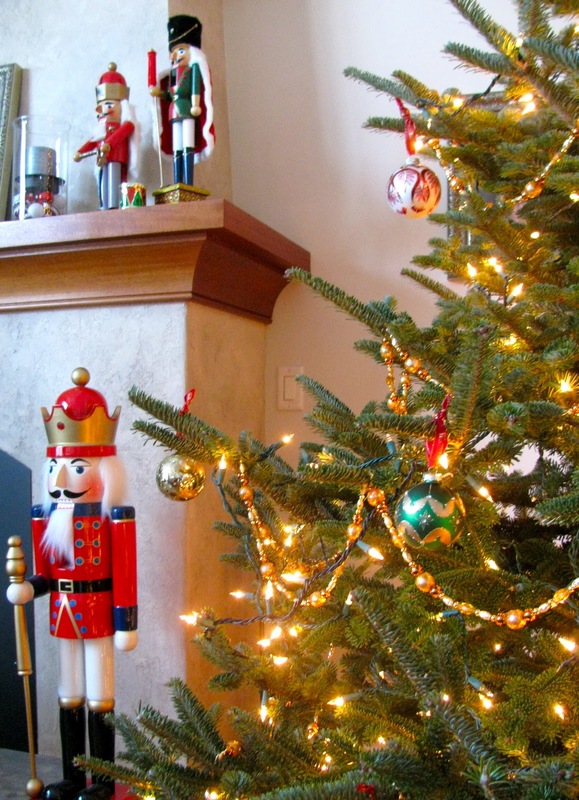 It's my favorite Christmas story, and this post is a rerun from last December. After a couple of decidedly untraditional stories, Truman Capote's "A Christmas Memory", set in the depression-era rural south, had me sighing with relief at the end of the first paragraph. "Imagine a morning in late November. A coming of winter morning more than twenty years ago. Consider the kitchen of a spreading old house in a country town. A great black stove is its main feature; but there is also a big round table and a fireplace with two rocking chairs placed in front of it. Just today the fireplace commenced its seasonal roar." This house is home to several members of a family, including an old woman and a young boy (our narrator) she calls Buddy. The two friends obviously have a very special bond. "It's always the same: a morning arrives in November, and my friend, as though officially inaugurating the Christmas time of year that exhilarates her imagination and fuels the blaze of her heart, announces: 'It's fruitcake weather! Fetch our buggy. Help me find my hat.' "
The boy's memories of the season follow. On the first day of "fruitcake weather", the two gather 'windfall pecans'. The second day finds them buying the rest of the necessary ingredients, with money that has been carefully saved all year. On the third day, the baking commences. The fruitcakes (as many as 31) are given to people that matter to the old woman and boy. Some are people the two barely know - like the bus driver that waves as he passes by every other day. One is even sent to President Roosevelt at the White House, and the old woman imagines him enjoying it on Christmas morning.
" 'It should be, muses my friend, 'twice as tall as a boy. So a boy can't steal the star.' The one we pick is twice as tall as me. A brave handsome brute that survives thirty hatchet strokes before it keels with a creaking rending cry. Lugging it like a kill, we commence the long trek out. Every few yards we abandon the struggle, sit down and pant. But we have the strength of triumphant huntsmen; that and the tree's virile, icy perfume revive us, goad us on." 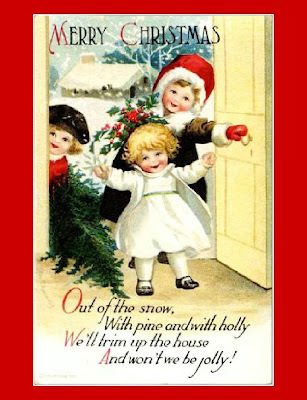 The making and giving of homespun gifts is also described. The entire story is beautifully written and a joy to read. 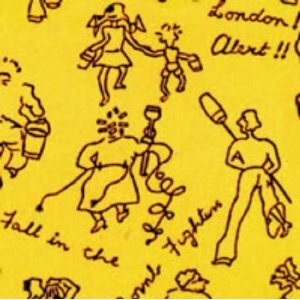 Truman Capote wrote this autobiographical story in 1956. It was first published in Madamoiselle and, later, as a book. It was also made into a movie in 1997 starring Patty Duke and Piper Laurie. 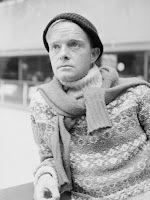 An internet search turned up this You Tube video that has Capote reading the story himself. Enjoy! Read-along hosted by Amanda, but I started late and never caught up. Penguin Classics paperback purchased from B&N. Audio downloaded from audible.com. 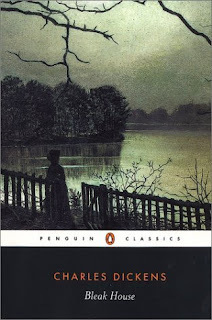 Often referred to as Dickens' masterpiece, Bleak House features many characters and multiple plot lines, all connected to the interminable Jarndyce and Jarndyce court case. The novel truly defies summation. Charles Dickens can spin a tale like no other ... and in today's world that may be a good thing. Bleak House is huge in scope and addresses nearly every aspect of life in Victorian England - from social class, the legal system, and politics, to love, marriage, and parenthood. Most 21st century readers are not willing to wade through 500 pages before plot lines begin to intersect. They won't wait 750 pages for that "can't put the book down" feeling. But those who do, will be rewarded. Reading a Dickens novel is not a decision to be undertaken lightly. Patience, time, and perseverance are all prerequisites. Dickens is wordy. His prose is often described as 'flowery'. Somewhere around page 400, I wondered where Bleak House was going and whether I cared enough to find out. In the end, I trusted Dickens to make it worth my time and was not disappointed. The original plan was to immerse myself in Bleak House by listening in the car and reading at home. As it turned out, the audio was so well done that I rarely picked up the book. Robert Whitfield's perfectly-paced narration and pleasing voice, which varied with the characters, resulted in a totally engaging audio experience. When it's time for another Dickens novel, I will definitely seek out an audio version. 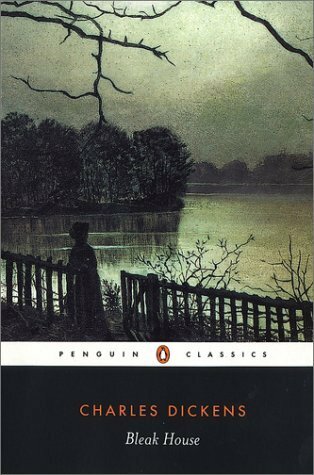 Bleak House was an enjoyable novel that provided a great sense of accomplishment upon completion, but I can only recommend it to die hard Dickens fans. Great Expectations is still my favorite Dickens novel. The gifts of earth are brought and prepared, set on the table. So it has been since creation, and it will go on. corners. They scrape their knees under it. means to be human. We make men at it, we make women. our parents for burial here. pray of suffering and remorse. We give thanks. Finally, a poem that spoke to me! "Perhaps the World Ends Here" is the poem that gave me the courage to give poetry a second chance. Find my complete review of Poetry Speak Who I Am here. Visit The Blue Bookcase for links to other participants. Quick, snap a Christmas photo while everyone's home! Shall we go to Florida and relax instead?